Testing is the process of evaluating a system or its component(s) with the intent to find whether it satisfies the specified requirements or not. Testing is executing a system in order to identify any gaps, errors, or missing requirements in contrary to the actual requirements. This tutorial will give you a basic understanding on software testing, its types, methods, levels, and other related terminologies. This tutorial is designed for software testing professionals who would like to understand the Testing Framework in detail along with its types, methods, and levels. This tutorial provides enough ingredients to start with the software testing process from where you can take yourself to higher levels of expertise. Before proceeding with this tutorial, you should have a basic understanding of the software development life cycle (SDLC). In addition, you should have a basic understanding of software programming using any programming language. 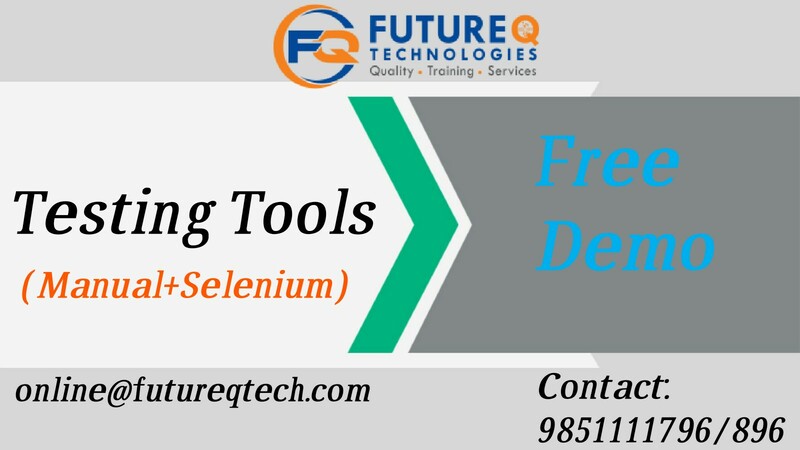 Software Testing Tools program is designed for any graduate with any stream. It is process oriented in Software Development Life Cycle. Through Software Testing Life Cycle, a Quality Analyst, analyze the software and providing assurance to client/end user. STLC mainly focuses on Understanding Requirements, Test Planning, Test Design (Scenarios and Test Cases), TestExecution, Result Analysis, Defect Tracking and Reporting and etc. In Contemporary IT industry Quality is playing a major role.